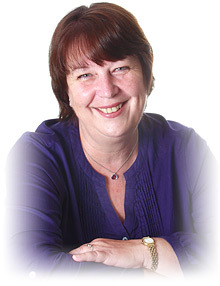 My name is Gill Matthews and I am a professional Hypnotherapist, Life Coach and Stress Management Consultant. I practice in Barton on Sea, New Milton, between Southampton and Lymington in Hampshire and Bournemouth and Christchurch in Dorset. I offer Coaching sessions face-to-face or online via Skype or Facetime. I am a Senior Practitioner and Peer Supervisor with the General Hypnotherapy Standards Council and have been in full-time practice for 31 years. It is now scientifically recognised that stress is the pre-cursor to the malaise of humanity, my expertise lies in all stress related issues known to man, woman and child! I am an Educational Performance Practioner, therefore I can help with study, concentration, confidence, exam performance and educational stress in adults and children. As a qualified Fertile Body Method Therapist I use hypnosis with the mind-body approach for all fertility issues, IVF and hypnobirthing. I trained with Dr. Brian Roet (former GP and Anaesthetist) in Pain Relief and Stress Management. I am a Registered Hypnotherapy professional with the CNHC (an Accredited Register approved by the Professional Standards Authority for Health and Social Care) and a recognised PruHealth Practitioner. Is self-sabotage holding you back from creating the life you really want? Learn how to manifest the best life for you and live in abundance. Everything shows up in your life when you learn to accept yourself and know you deserve all you desire. Know how to recognise the self-sabotage that causes you to reject what you really want in your life and put up with less than you deserve. It is easy when you know what is blocking you. How good can you stand your life being? Miracles do happen when you allow them. Start by deciding which areas of your life could be better and email me to find out how to make miracles happen in your life. So whether it is your relationships, finances, work, health or any other area of your life, email me. I offer a 30 minute free consultation which gives you an opportunity to understand your problem at a deeper level. This is also available over the telephone or Skype if that is more convenient for you. For more details of my 30 minute no obligation Free Consultation ring 01425 638817 or email me. In my work I use the many approaches I have learned during my years in practice to help you find solutions to issues and problems you may be experiencing, to educate and empower you to grow, flourish and reach your full potential. There is rarely a single way of treating a problem, even if it comes with a nice clear label. I will work with you to achieve your aims and your goals. You will always be treated as the totally unique person you are because you perceive life your own way! The other aspect of sessions with me is that I will listen. How often do you get the undivided attention of another person with the time to explore exactly who you are, without judgement? Evolve into your best you, find the awesome person you really are. 'We not only can't separate the mind from the body, but we can't change one without changing the other. Our perspectives on life can have a huge impact on our emotional and physical health. Sometimes a slight shift in thinking can make a huge difference. If there is any area of your life that you would like to 'shift' pick up the phone or email me ... the treatments I can offer are an effective way of helping you to make lasting, beneficial changes! Take a look at the Testimonials page to see how this has helped others. "I found Gill following a severe bout of depression. I'd suffered a breakdown. I wanted to habituate to the tinnitus that I had developed as a result of this dark time. At the lowest point I had ever experienced in a lifetime of low points and periods of depression I decided to give something a bit different a go. I had been prescribed antidepressants throughout my life and I had found myself on them again at this time, but I was getting worse, the tinnitus was becoming more terrifying and I had to try something I considered at the time to be radical. It wasn't radical at all, it was exactly what I needed. At the end of my first phone call to Gill I knew I had made a good decision. It would be hard to condense my entire experience or treatment into a few paragraphs and to be honest it wouldn't be right to. The therapy I received was of a highly personalised nature, tailored to me and my own experiences. I'd had CBT before through the NHS and after my time with Gill I realise that my previous experience of therapy was very clinical and impersonal, literally given leaflets on a general run down of depression and anxiety. I would love to go on about my journey but it's a long story. Gill helped me in ways I didn't know possible, not only to understand myself but to provide me with techniques and 'tools' to combat my demons. Techniques that work. Tools I use to this day. The time I spent with Gill was absolutely essential to my recovery. The best thing about it is that I know I will never need antidepressants again. I've learned through Gill and I've got to say my own hard work that I possess the knowledge and techniques to help myself in the future to stay out of any more depressions. Oh, and the tinnitus is no longer a problem!" "I first met Gill after suffering terribly from anxiety and panic attacks. My panic attacks were so frequent and anxiety so high that I wasn’t leaving my house apart from to go to work. After my first session with Gill I never had a panic attack again and I can honestly say whole heartedly that I found the experience life changing. She helped me find confidence in myself again and in doing so helped me in my work, home and personal life. Hypnotherapy worried me to start with as I thought I would not be in control, however you are in total control and that is mostly the problem for anxiety sufferers as a general rule. Gill is extremely professional but in a very welcoming and relaxing manner and took me through everything so I felt comfortable, reassuring me all the way. I previously had 2 calls with NHS ‘Counsellors’ who did not put me at ease let alone make me feel like I could talk about the issues I felt I had, Gill had the opposite effect straight away. I have not had a panic attack since and know how to deal with it when I do feel anxious in situations. I have a much higher confidence in myself and am happy to say all elements of my life are amazing and I put that down to the work Gill helped me with on myself. And I'm getting married next year, before seeing Gill I never would have thought that was possible ! :-)"
"I was recommended to Gill because I was petrified of needles and needed some urgent dental treatment requiring anaesthesia. I have to say I was as petrified of seeing her as I was of the needles however I needn't have worried. Gill's calm and professional approach put me at my ease and together we worked on my fear, what was driving it, where it came from and how to overcome it. This put me back in control. Needless to say, I had my dental treatment and overcame my fear of needles, and subsequently, having also learned pain control techniques from Gill, the smaller issues at the dentist are a breeze too! Result! Thank you Gill, a 40 plus year phobia overcome in a remarkably short space of time!" 'People wait their whole life for something outside of them to change how they feel inside of them'. 'The journey of true discovery lies not in finding new lands but in looking through new eyes'. I offer a free consultation of 30 minutes which is an opportunity for you to understand your problem at a deeper level and 'look through new eyes'. This is also available over the telephone or Skype if that is more convenient for you. 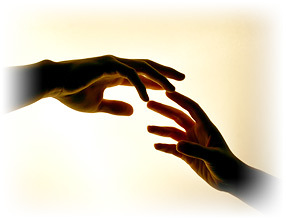 I am an experienced Hypnotherapist practising in New Milton, Hampshire. Search for me on the Hypnotherapist Register, under Hypnotherapy Hampshire, Southampton, New Milton and Lymington in The New Forest Hampshire, or Christchurch and Bournemouth in Dorset. I am an expert in all areas of Stress Management Lymington for Hypnobirthing, Fertility, Exam Performance IBS and Anxiety. You can find me under Hypnobirthing New Milton and Lymington, Southampton, The New Forest, Hampshire, or Christchurch and Bournemouth in Dorset. I am listed under the search for Hypnobirthing New Milton, Stress Lymington and Hypnotherapy Hampshire in The New Forest and Hampshire. I am to be found also under IBS, Anxiety, Fertility, Hypnobirthing and Hypnotherapy in Christchurch and Stress and Fertility in Bournemouth in Dorset. Do you want Hypnobirthing New Milton, Stress Lymington or Hypnotherapy Hampshire? Then give me a call.